The permanent rooting procedure for HTC devices is not too much difficult. Most of the HTC device owners if they want to do so, they simply visit the HTCdev website, and simply unlock the bootloader, then get a custom recovery before finally flashing a root zip. Eventhough it is not perfect, it does gives the owners to play with the things like the custom ROMs. 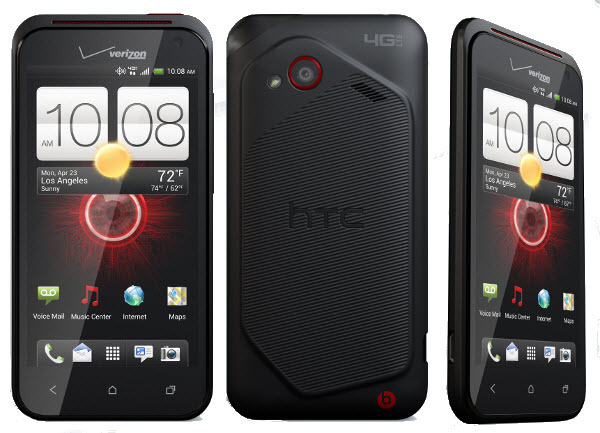 Now, the HTCDev website shut down the ability to unlock HTC Droid Incredible 4G LTE bootloaders. So, the XDA Forum Member jose51197 developed a new method to unlock the bootloader for the same device. At below we have given the detailed tutorial to unlock the bootloader and install the recovery in your device. But before start to proceed, strictly follow the pre-requisites. And also take backup of all your internal data with the help of Backup application. Make sure battery level of your phone is atleast 50-80% to avoid your device gets switched OFF during the middle of the process. Finally, disable all the antivirus suites in your computer as well as mobile so that update process may not get interrupted. DISCLAIMER : Use this below guide at your own risk. We should not be held responsible/liable if anything goes wrong in your device. 1. Suppose, if you have not already download and install the HTC drivers on your phone then Go to Settings -> Developer options and enable the USB debugging. 2. Next, Go to Settings and connect to PC and change the Default connection type to disk drive and disable ask me. 3. Now, plug your phone to the computer and wait until it pops up asking what you want to do with the newly plugged in phone. 4. Close the pop ups and press the start button and type “cmd”. It should pop up with “cmd.exe”. Right click on it and click Run as Administrator. 5. Download this file with the fake backup in it. Once downloaded, unzip it to C:\Root and head over to the folder in the command prompt by typing the code cd c:\Root\stuff and give press enter. 6. Now that you are there, then again type adb devices. 8. After that again you need to type adb shell “while ! ln -s /data/local.prop /data/data/com.android.settings/a/file99; do :; done”. Once you type this code error may come, but just ignore that. 9. Accept the restore on the device, then type: adb reboot. (At this time, you are temprooted, and the phone UI will be in an unusable state, with temproot shell). Upto now, if everything went right then proceed to the second part which we given below. 3. Open the file (mmcblk0p4) with your hex editor. 4. Look for offset 00000210 and you should see VZW__001 with your IMEI on the right. Change VZW__001 to 11111111 and save the file as mmcblk0p4MOD. 7. If succeeded then close the window and start a new one and type “adb reboot bootloader” then “fastboot oem readcid” and that should show you 11111111. 8. Now, go to htcdev.com website, sign up, login, and select the “Unlock Bootloader” option from their site and follow the instructions, selecting other supported devices from their dropdown menu.